35 years ago, puppeteering legends Jim Henson and Frank Oz released their first non-Muppets feature film: the fantasy epic The Dark Crystal. Although mildly successful at the box office, the film got a little overshadowed in the same year that gave us E.T., Star Trek II: The Wrath of Khan, Poltergeist, The Road Warrior, TRON, The Thing, Blade Runner, and other genre favorites (1982 was a very good year for nerds). But cable and home video made sure that this odd little film, about magical creatures called Gelflings and Skeksis and mystic quests, would eventually find a loyal audience. Since that time, The Dark Crystal has become a cult classic, and spawned toys and books and spin-off comics of all kinds. It's even coming back as a new series on Netflix. 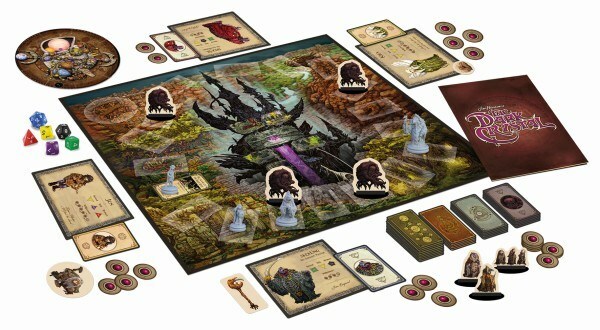 Now we've learned that River Horse, the company that released the Labyrinth board game, is also releasing a game based on The Dark Crystal. The game will find the players recreating the basic plot of the film, as "Jen and Kira must go on a journey to find the Shard and heal the Dark Crystal." Rules booklet – 24 pages. 2′ × 2′ game board – lavishly illustrated with inspiring new artwork featuring all the legendary places from the movie, including Aughra’s Observatory, the Valley of the Stones and the Crystal Castle. 25 World cards, 9 Mystic cards, 7 Skeksis cards and 15 Minion cards. 4 character sheets and 4 Special Ability cards. 1 Orrery turn track (top and bottom, with plastic connector). 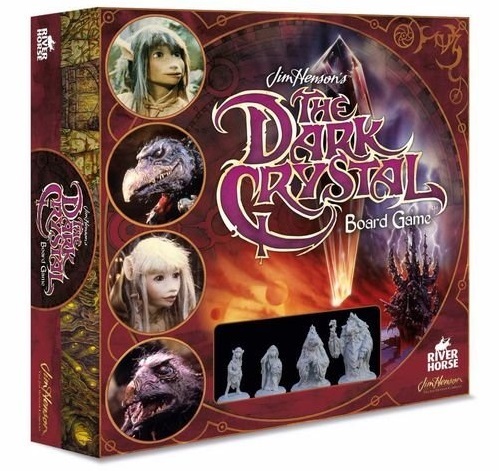 The Dark Crystal Board Game is available to pre-order right now. Are you excited to relive Jim Henson's wild fantasy epic, table top style? Let us know down below in the comments. Get mythical with Jim Henson's The Storytellers: Fairies. Waltz like a goblin king with Labyrinth dance classes. Rare Dark Crystal concept art coming in new book.